November 02, 2017, 12:00 p.m.
Chinese mobile phone brand Huawei recently announced plans to expand its digital marketing strategy in Europe. 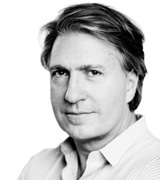 The brand intends to bring on board a mix of performance marketers, analytics experts and social media strategists in in a bid to replicate its success in China across ten new European markets. Global YouGov brand tracking data enables us to assess Huawei’s contrasting brand perception levels across four markets - the UK, China, France and Germany. YouGov’s smartphone mobile internet experience (SMIX) tracker data indicates that in terms of market share in the UK, Huawei has moved from 1% to 3% among smartphone owners in the last two years. 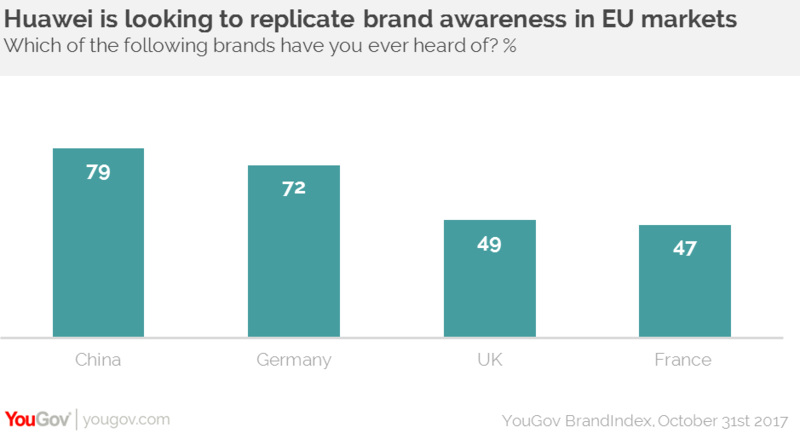 Looking at the brand’s Awareness score (whether someone has heard of a brand) in the UK, it currently stands at 49%, up from 45% a year ago – around the same level as France (47%). Awareness among German consumers is notably higher (72%) – although this is still below the levels among the online Chinese population (79%). Huawei’s score in the UK puts it behind brands such as HTC (62%). As Huawei’s Awareness score is lower than its more established rivals, it is perhaps no surprise its UK Impression score (whether someone has a favourable impression of the brand) is fairly low. It currently shows a rating of +4, putting it alongside the likes of Motorola (+5). Naturally, if a brand isn’t too well known among consumers it can impact on whether people consider buying its products. Indeed, Huawei’s Purchase Consideration score (whether someone would consider purchasing from the brand) has stayed relatively flat over the last year, hovering around the 5% mark, compared to 48% in the Chinese sample. While it is unrealistic to foresee Huawei challenging the duopoly of Samsung and Apple in the UK any time soon, it will be interesting to see how increased marketing efforts will impact on its overall share.